Bonita Springs, often referred to as “The Gateway to the Gulf”, is ideally located halfway between Ft. Myers and Naples, near the Gulf of Mexico. 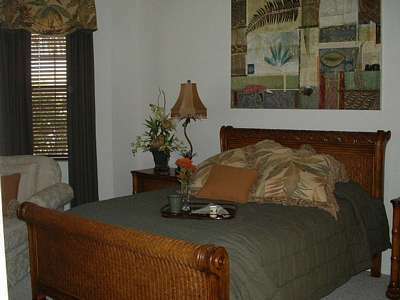 The area showcases some of the best beaches in the world, with Sanibel and Captiva Islands only a short distance away. This dynamic coastal community offers boating, fishing, shelling excursions, biking, canoeing and golfing and is located just minutes from excellent shopping, theaters, galleries and fine dining. 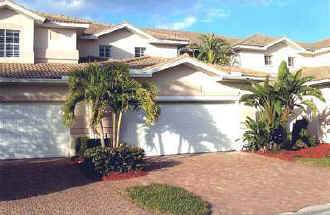 Coconut Shores is a newly built gated community with a tropical oasis setting, just west of Rt. 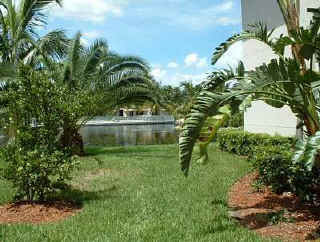 41 (Tamiami Trail) near the new Five Star Hyatt Regency Resort and Marina. Enjoy 1,700 sq.ft. 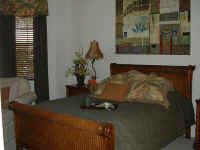 of a sophisticated, yet comfortable, professionally decorated Tommy Bahamas style 2 bedroom, plus den condo. 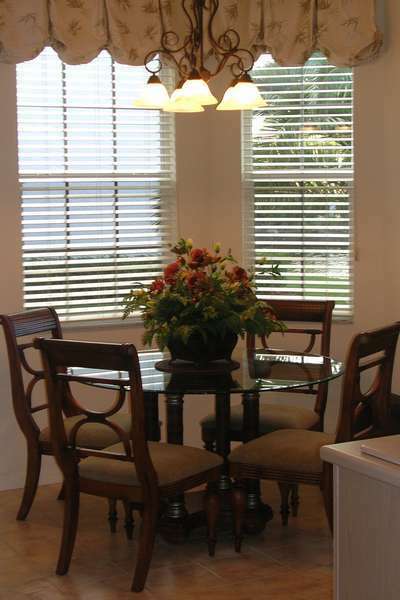 The living/dining area has a 12 foot glass opening onto the lanai, giving you a panoramic view of one of three stocked fresh water lakes, with a beach, fishing pier and fountain. The luxurious master bedroom overlooks the lagoon and has a spacious bath with walk-in shower, glamour tub and double vanities. 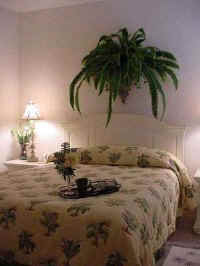 The guest suite is private and quiet with a full bath. 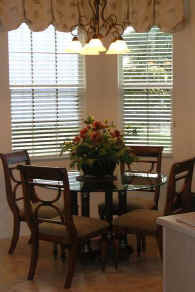 For your dining pleasure enjoy either a bright, fully equipped eat-in kitchen or an elegant dining room. Relax in the sun at the pool and spa, just steps from the condo. 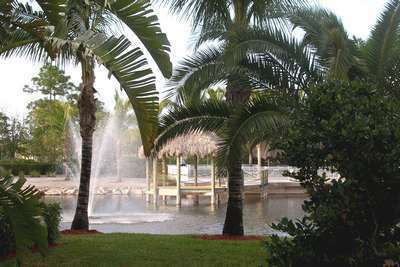 Coconut Shores is a quiet community of only 168 units. Development is surrounded by public and semi-private golf courses. 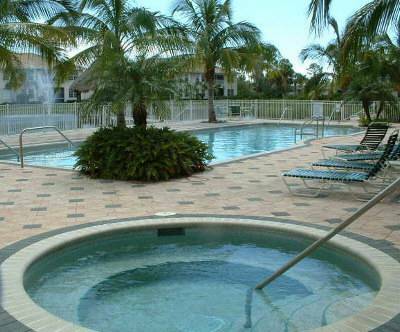 This Florida vacation rentals listing site features homes, condos and island properties with beachfront, waterfront, and pools including these Bonita Springs Condos in Bonita Springs, Florida. Click here for more Bonita Beach Vacation Rentals and browse through many cities.